Digital comparators are integrated circuits (ICs) that compare the magnitude of two binary quantities and determine the relationship of those quantities. There are two basic types of digital comparators: identity comparators and magnitude comparators. Identity comparators indicate whether two inputs are equal. Magnitude comparators indicate whether two inputs are equal and, if they are not, which input is larger or smaller. Typically, digital comparators are used to compare an input voltage to a reference voltage. Logic circuits that incorporate multiple individual comparators are able to characterize large groups of input signals. Digital comparators may be operated in synchrony with a clock or asynchronously, incorporating sufficient gain to force the output signal into saturation. Digital comparators vary in terms of supply voltage, number of bits, propagation delay, operating current, and operating temperature. Supply voltages range from - 5 V to 5 V and include intermediate voltages such as -4.5 V, -3.3 V, -3 V, 1.2 V, 1.5 V, 1.8 V, 2.5 V, 3 V, 3.3 V, and 3.6 V. The number of bits is the size of the binary numbers that a digital comparator can process so that, for example, a 4-bit comparator accepts two input numbers, each with four bits. The propagation delay is the time interval between the application of an input signal and the occurrence of the corresponding output. Like other ICs, digital comparators require a minimum current for active operation and feature a range of operating temperatures. Some digital comparators are radiation-tolerant. Others provide protection against electrostatic discharge (ESD). Selecting digital comparators requires an analysis of logic families. Transistor-transistor logic (TTL) and related technologies such as Fairchild advanced Schottky TTL (FAST) use transistors as digital switches. By contrast, emitter coupled logic (ECL) uses transistors to steer current through gates that compute logical functions. Another logic family, complementary metal-oxide semiconductor (CMOS), uses a combination of p-type and n-type metal-oxide-semiconductor field effect transistors (MOSFETs) to implement logic gates and other digital circuits. Logic families for digital comparators include crossbar switch technology (CBT), Gallium arsenide (GaAs), integrated injection logic (I2L) and silicon on sapphire (SOS). Gunning with transceiver logic (GTL) and gunning with transceiver logic plus (GTLP) are also available. Digital comparators are available in a variety of IC package types and with different numbers of pins and flip-flops. DIPs are available in either ceramic (CDIP) or plastic (PDIP). Other IC package types include small outline package (SOP), thin small outline package (TSOP), and shrink small outline package (SSOP). JIS B 7536 - Electrical comparators. A-A-58089 - Comparator, bench type, electronically amplified. 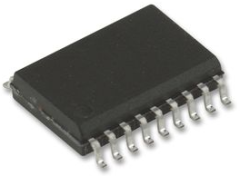 DESC-DWG-84151 - Microcircuits, digital, low-power schottky ttl, magnitude comparator, monolithic silicon.